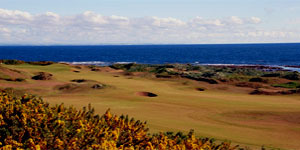 The Kingsbarns Golf Links site has long been known for its intimate connection with the sea. Situated only six miles from St.Andrews, Kingsbarns Golf Links sweeps majestically along the sea near the charming village of Kingsbarns. 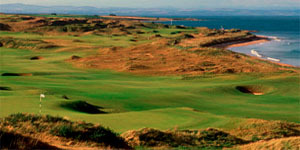 The site fosters ideal conditions for links turf to flourish, set amid interesting natural terrain. 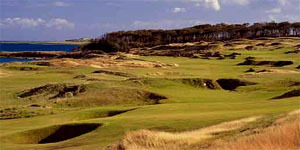 This unique part of East Fife has sandy soils, undulating ridges and hollows, with the Cambo burn running into the sea, all set immediately against the rugged coastal background of the North Sea. 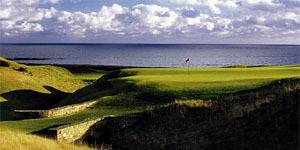 Golf has been played over the links lands of Kingsbarns since 1793. Dressed in their blue coats, the Kingsbarns men met for their Spring and Autumn Meetings to challenge for the Societies medals on the links and to enjoy dinner in the Golfers Hall. 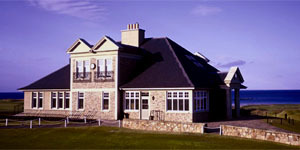 Inspired by Lady Erskine of Cambo, the old Kingsbarns Golfing Society was re-established and founded as Kingsbarns Golf Club in 1922. The golfing needs of the locals and holiday makers were catered for until the onset of the Second World War when the Links was mined in the national security defence effort and it quickly reverted to rough pasture. 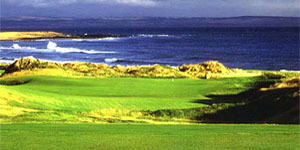 Golf was resurrected on Kingsbarns Links in the year 2000 to rapturous applause. The only Scottish course to be built on links land in over 70 years, Kingsbarns appears so natural that you would be forgiven for thinking the course was over 100 years old. The topography of the land steps back from the sea up and over an old sea cliff creating an unusual amphitheatre effect; because of this tiered aspect, ocean views are prominent on every hole. Californian's Kyle Phillips and Mark Parsinen created a superlative route with six holes actually skirting the sea. 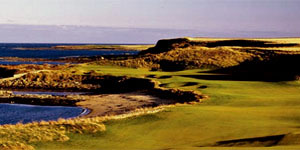 Kingsbarns is probably the best golf course to open in Scotland since Turnberry was rebuilt after World War II. With its seaside setting, Kingsbarns has joined the great old courses of nearby, bringing with it a new dimension to the traditional Scottish game. 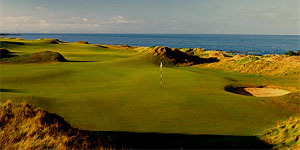 With five different tee yardage's to choose from, Kingsbarns Golf Links is links golf of the highest order, enabling golfers to play from a suitable tee to best suit their games. 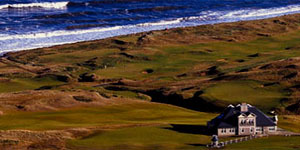 In 2007, Kingsbarns Golf Links co-hosted the PGA European Tour's Alfred Dunhill Links Championship, along with St Andrews and Carnoustie. Golf Digest named Kingsbarns its "Best New International Course" for the year 2000 and Golf Magazine voted Kingsbarns 46th in their World Rankings in 2001. 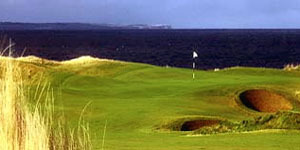 Golf World listed the course 13th in their British Isles rankings in 2002.